Joel Vanderheyden Loves Jefferson College’s New Nottelmann Sound Systems! 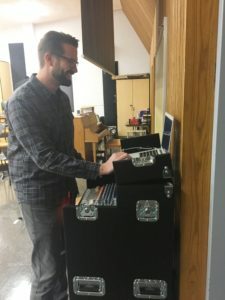 With budgetary assistance from Joe Pappas and the Jeffco Viking Band Camp, Jefferson College’s music department was looking for a great sounding and versatile sound systems for the band and choir rehearsal rooms. 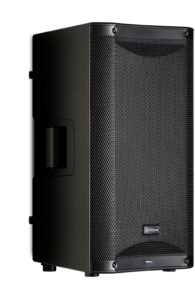 They wanted portability, great sound, and high quality recording capability. Joel Vanderheyden contacted me with specific criteria in mind and I set out to design a system meet his needs and those of their other large ensemble directors, Elke Overton and Mark Cotter. Joel Vanderheyden: Jefferson College recently had the pleasure of putting together a custom recording system with Ray Benton and Nottelmann Music, and I must say, it is everything I envisioned and more! I knew we wanted easy recording and playback capabilities for our rehearsals, and Ray helped me figure out just the right gear to accomplish that. 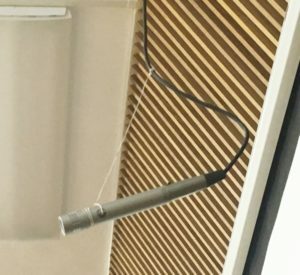 We’ve got a Presonus AR12 mixer, which is great because we’ve got stereo mics permanently hooked up for day-to-day use, but could very easily add several additional mics for a “recording session” situation. 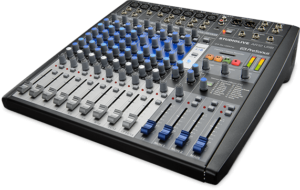 Also, my students and I love the Bluetooth capability of this mixer because we can play music from our phones straight through the room-filling Presonus Air12 speaker, and we can adjust volume and playback/pause directly from the podium or rehearsal chair. 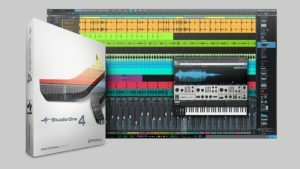 Our system has a MacBook Air laptop that does the recording through the Studio One software that came with the mixer, and it has been perfect for our day to day needs. In fact, I have used this setup for recording and playback in every single rehearsal since it was installed. In addition to listening to our recordings in class, I can even email my students a copy of the rehearsal recording immediately after we are finished so they can listen at home. The best part of this whole system, and where Ray and Nottelmann’s really came through for us, is the Grundorf custom case that houses everything. It’s like I rubbed a lamp and a genie popped out and granted me a wish! 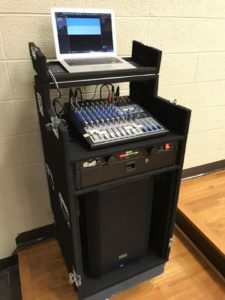 This thing is rugged, looks great, is the perfect ergonomic height for working, has a locking drawer for our laptop, and it closes up into an anvil-style box on heavy duty wheels, so I could take it anywhere on campus and have a multi-channel PA system and mobile recording station ready to go. I can’t say enough about how happy we are with this complete setup. I would HIGHLY recommend these to every band and choir director that I know! Thank you Ray and Nottelmann Music! Jefferson College’s needs may be different from yours, and that’s where Nottelmann Music comes in. You can try talking to the electronics guy at a local box store, chat with some online company, but there’s nothing like getting an on-site visit from a local expert. My 32 years of experience in teaching music combined with my years of advising teachers on music technology at Nottelmann Music worked for Joel and can work for you! Installed room recording and playback systems, portable field systems for marching band, portable indoor systems for jazz bands and show choirs…we do it all at Nottelmann Music! What are YOUR technology needs? Try Nottelmann Music! It’s easy to move forward!